Count on big laughs when you and your friends get together to find out who's an artist and who really isn't! In this quick-draw classic, the guesses can be just as hilarious as the sketches, making it the perfect way to get the party started. 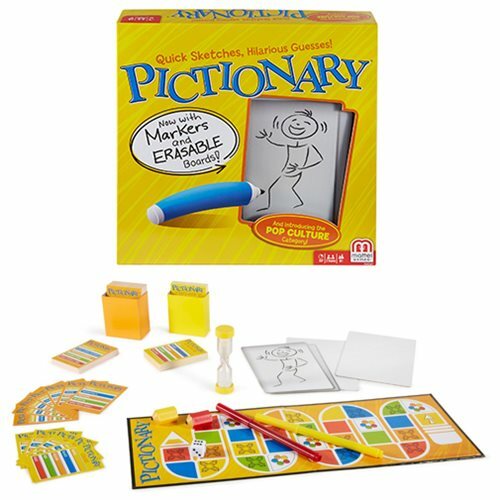 Pictionary now includes 2x erasable markers, boards for drawing, and an updated Pop Culture category of clues. For 2 teams. Ages 8 and up.